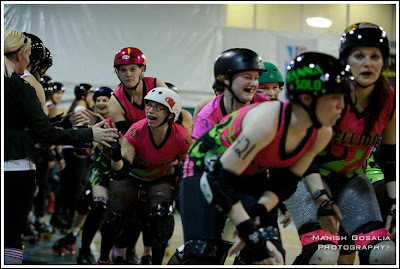 Long story short, we played Suburbia on February 25 and lost 250-75, but we gained a lot of insight on what we need to work on as we head into our 2012 season. Suburbia Roller Derby is ranked #12 in the WFTDA East Region. Despite losing, overall we had a really great time down in Yonkers on Saturday. 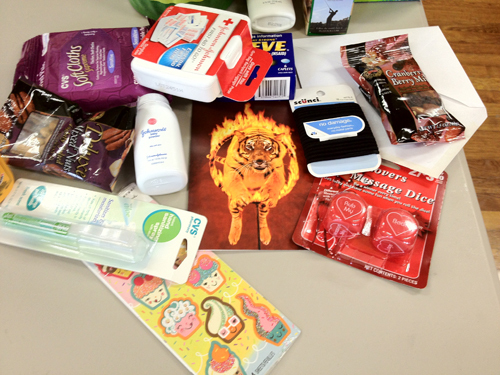 First of all, check out this awesome welcome basket! They wrote us a nice welcome note in that tiger card. I put one of the cupcake stickers on my helmet. 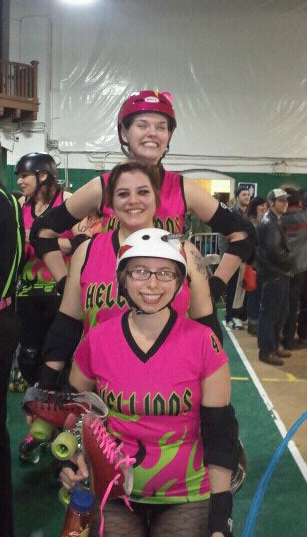 We got to the bout a little early, so we hung out in the locker room area and changed our wheels. Val temp-sewed Trixie's number to a jersey. 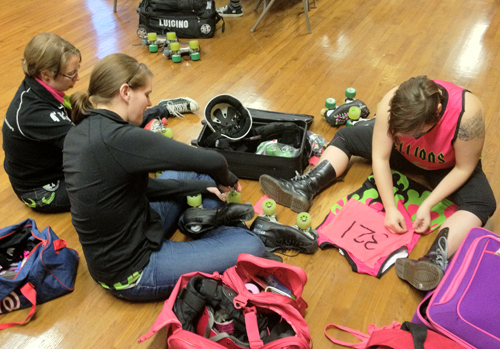 Short Temper, Lehman Smothers, and Valerie Valkyrie doing some pre-bout maintenance. 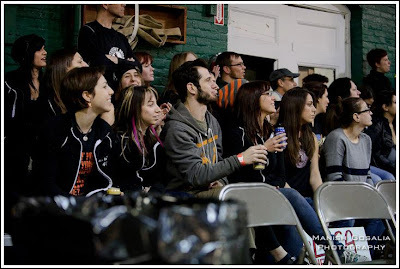 Another awesome thing about the event was that Yonkers is pretty close to a few other leagues, so we had friends come out and cheer for awesome derby that night. It seemed like half of the Long Island Roller Rebels were sitting behind our bench the first period. I also saw people from Gotham, the Shock Exchange, Hudson Valley, and New Jersey. It was a great crowd - I think the event even sold out. LIRR and Bane-ana watching the derby action. Thank you Suburbia for the awesome time this past weekend!